In an extraordinary replication of samurai armor, the Leather Samurai Cuirass features a plated design which offers supreme flexibility. 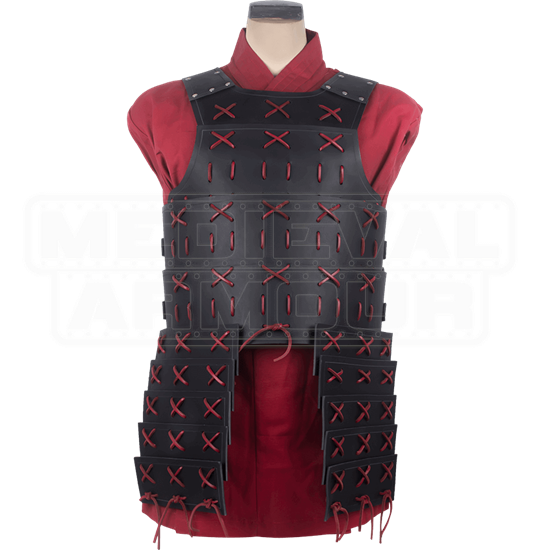 This is exceptional armor for those who LARP and desire embodying a role of an eastern warrior. The use of plates in this design prevents a constricted feeling during battle, allowing the lames to shift with your movements. Leather straps are used to secure this cuirass to the body, each buckling at the back to keep the front of this Japanese armor sleek in its appearance. Each plate is crafted from 9-10 oz. leather and is attached to one another by use of leather laces, which also decorate the face of the armor. 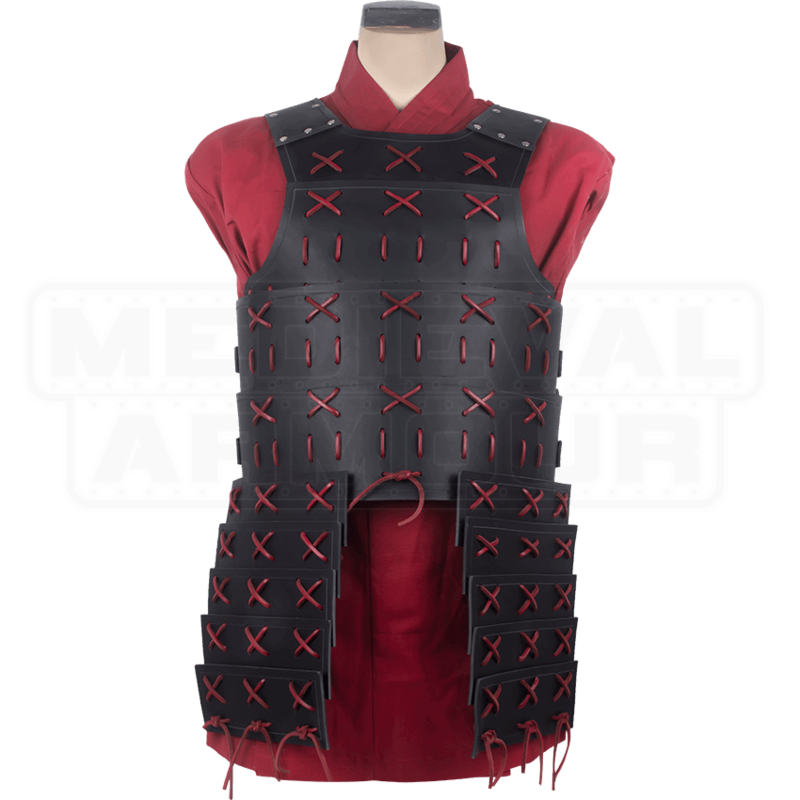 If you are interested in assuming a samurai persona in your next LARP battle, do so with the pride of a samurai by wearing the Leather Samurai Cuirass.